↑ Turanov AA, Lobanov AV, Fomenko DE, Morrison HG, Sogin ML, Klobutcher LA, Hatfield DL, Gladyshev VN (January 2009). "Genetic code supports targeted insertion of two amino acids by one codon". Science 323 (5911): 259–61. doi:10.1126/science.1164748 . PMC 3088105 . PMID 19131629 . ↑ Nakamoto T (March 2009). "Evolution and the universality of the mechanism of initiation of protein synthesis". 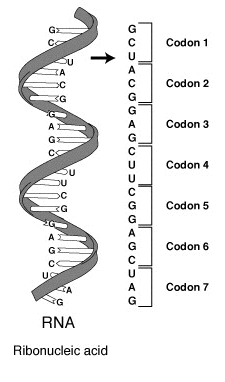 Gene 432 (1–2): 1–6. doi:10.1016/j.gene.2008.11.001 . PMID 19056476 . This page was last changed on 1 December 2013, at 06:28.